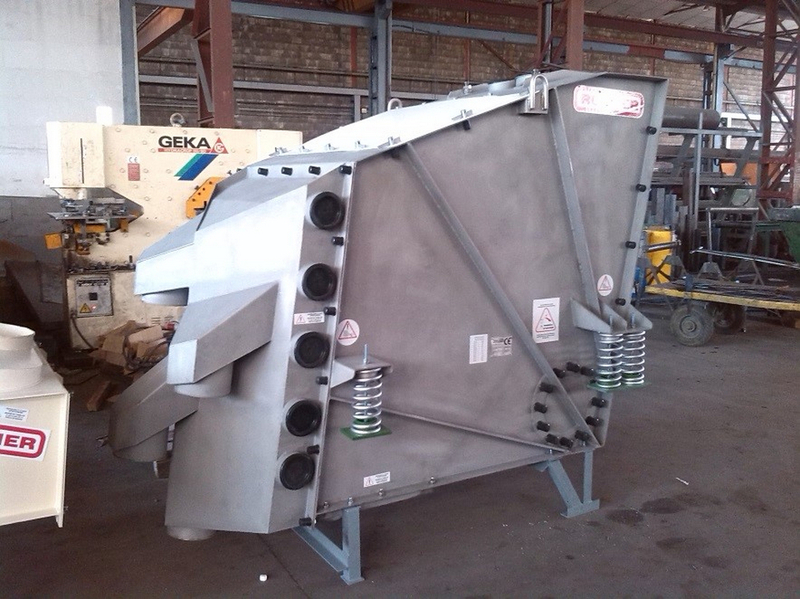 Also called simply screens, a vibrating screen is formed by a vibrant chassis that supports in its interior one or several surfaces or elements of screening. 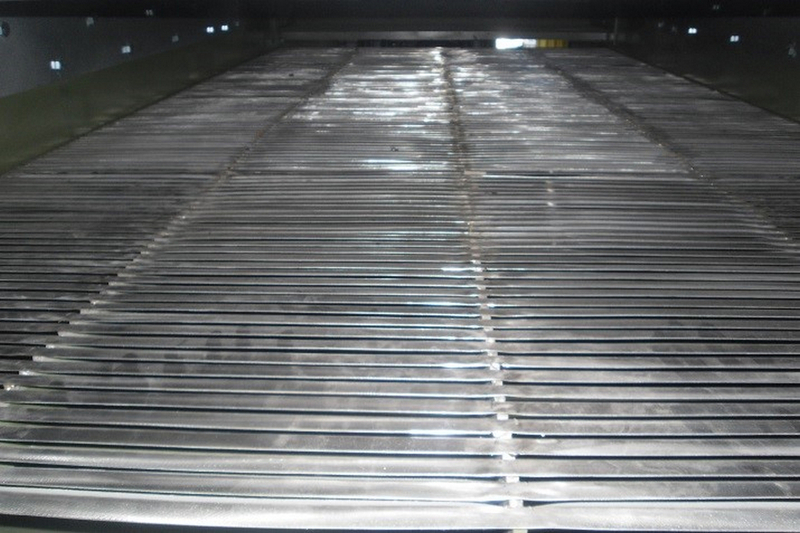 The screens serve to classify the different particles by size, starting from a bulk product in a continuous process. The inlet material (the raw product) advances from the part where the screen is fed to the opposite end in which the particles come out separately according to their size, shape or density. 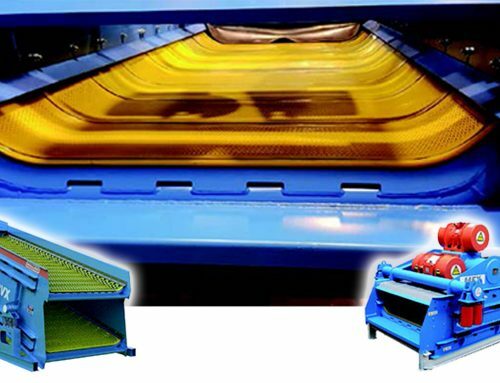 There are also vibrating screens that are loaded by the center and the product moves radially to the outputs that are on the periphery. 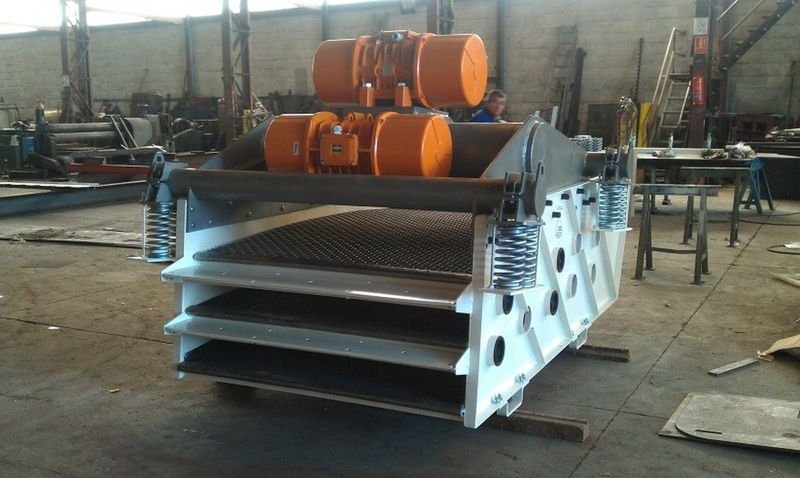 For the correct advancement of the product it is necessary that the process is continuous, and it is due to the vibration if the screening surface is horizontal. Most of the screens have a certain inclination in such a way that the advance movement of the product is due to a combination between gravity and vibration. 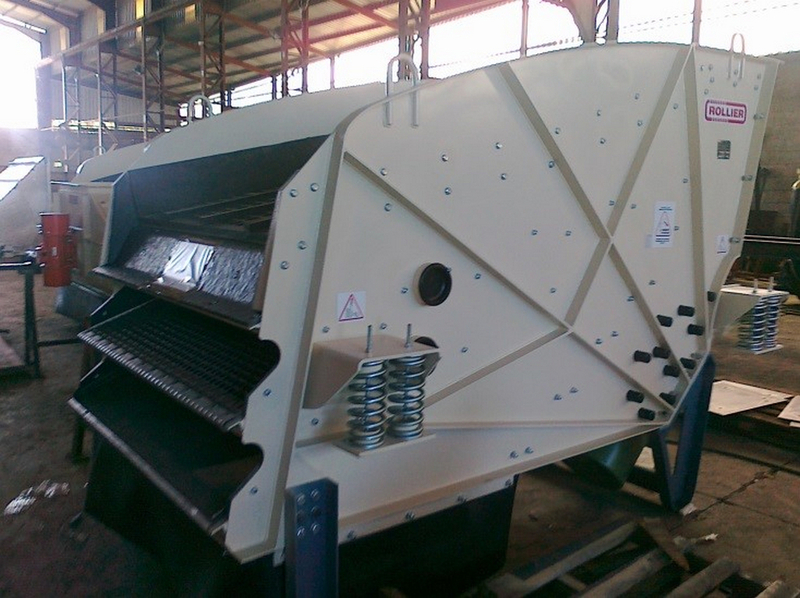 The screening elements are flat or slightly curved surfaces having perforations of a certain size such that when a product is poured in bulk on the element it only passes those particles whose size is smaller than the size of the perforations. 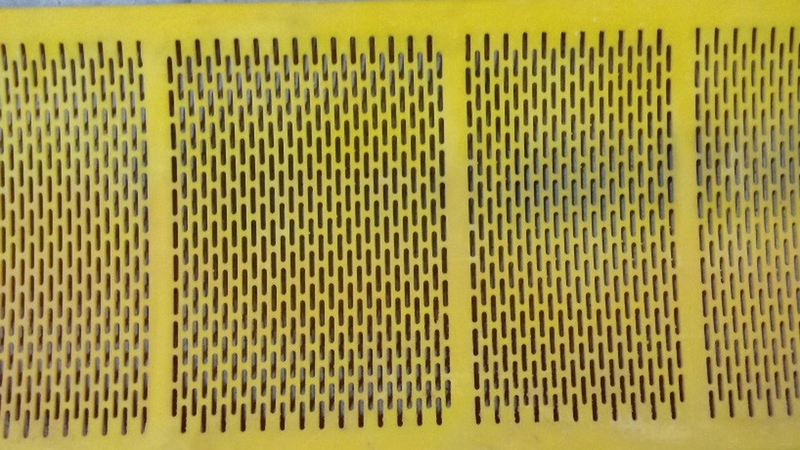 The screening elements can be a metallic or nylon wire mesh, bars that pass material between them, metal sheet with circular, square or hexagonal perforations, more or less rigid sheets of rubber or polyurethane with perforations. 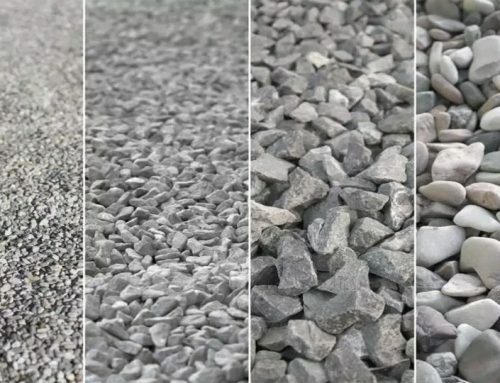 The type of element is chosen according to the application, nature of the product, size and shape of the particles, abrasivity, adhesion, humidity and temperature. A screen can have several screening elements on top of each other forming different floors. In this case, the floor with the larger perforations is placed in the upper part and successively in lower floors the elements with smaller and smaller perforations are mounted. In this way each particle is trapped between the floor that has cut points (openings) greater than the particle and the floor that has smaller cut points. 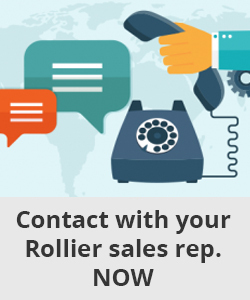 Traditionally there have been non-vibrating screens consisting of a fixed mesh with a lot of inclination. 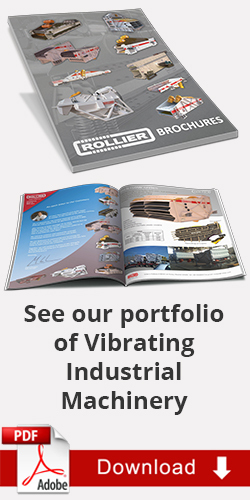 When introducing the vibration, the product shakes and the particles jump without sliding on the screening surface. Each jump is an attempt of the particle to pass through a hole and the probability of this happening is much greater if the machine vibrates. In other words, the effectiveness is much greater. When a particle jumps and falls again it can do so in a hole or an area where there is no hole. If the screening element is a wire mesh, the particle can fall on the wire or on another particle and not squeeze through the hole it should. This is why no screen has an efficiency of 100% because it would require an infinite number of jumps so that all the smaller particles that the holes actually leak. The concept of screening efficiency is clear: it is the percentage by weight of the particles that actually filter through the holes divided by the total that should be screened. 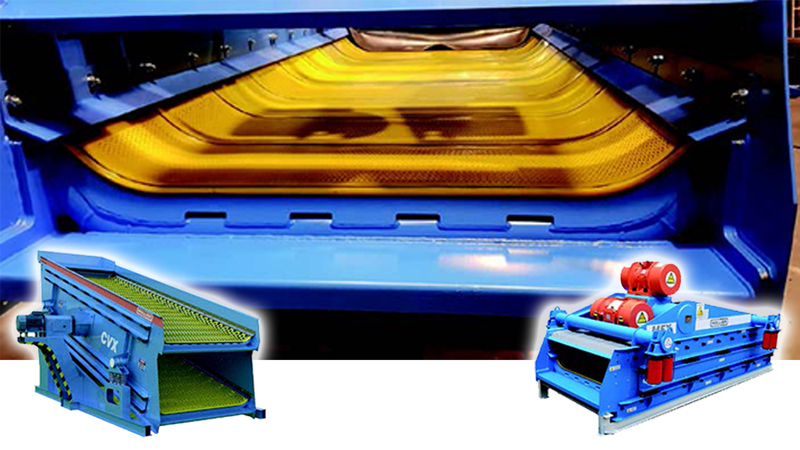 The more quantity of product you intend to classify, the more surface you need for screening. The most immediate symptom that a screen has become too small is that it decreases its effectiveness because it simply does not fit so many particles through the holes. On the other hand, the smaller the size to be classified, the more surface is needed since the smaller holes, the less quantity of product can pass through them. As a general rule for large classifications, low frequencies and large vibration amplitudes are preferable and for fine classifications high frequencies and small amplitudes. In other words, if the particle is large, a slow and wide movement is better in which the particle gives few jumps but large and if it is small it is better than many jumps but smaller. It is a question of the particle not passing several single jump holes. As a general rule for large classifications, low frequencies and large vibration amplitudes are preferable and for fine classifications high frequencies and small amplitudes. In the screens, as in any sorting machine, it is necessary to take advantage of the entire width of the work surface from the beginning of it. 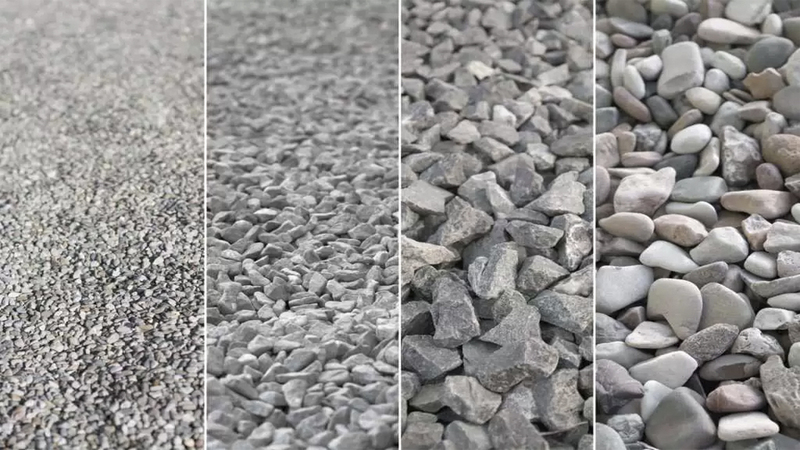 If the product falls “piled” on the screening surface, the particles of the top of the pile will not touch the mesh or the screening element until the pile disappears by the vibration. By the time this happens, it will already have traveled half way of the surface. 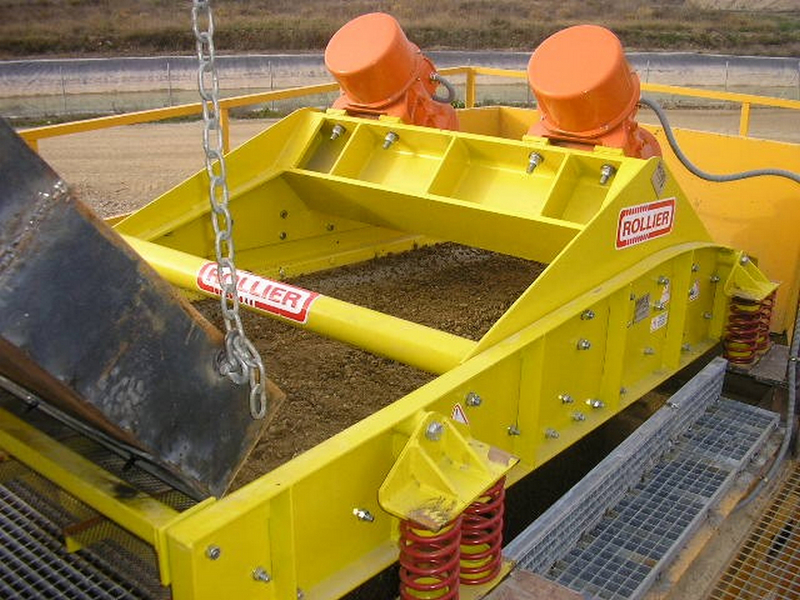 In other words, we waste surface with a very important loss of production and also the area where the pile is made will receive severe wear with the consequent extra maintenance expenses. It also increases, especially with products of low density, the risk of jams if the pile takes a lot of height. This makes no sense and it is not acceptable for correct screening. 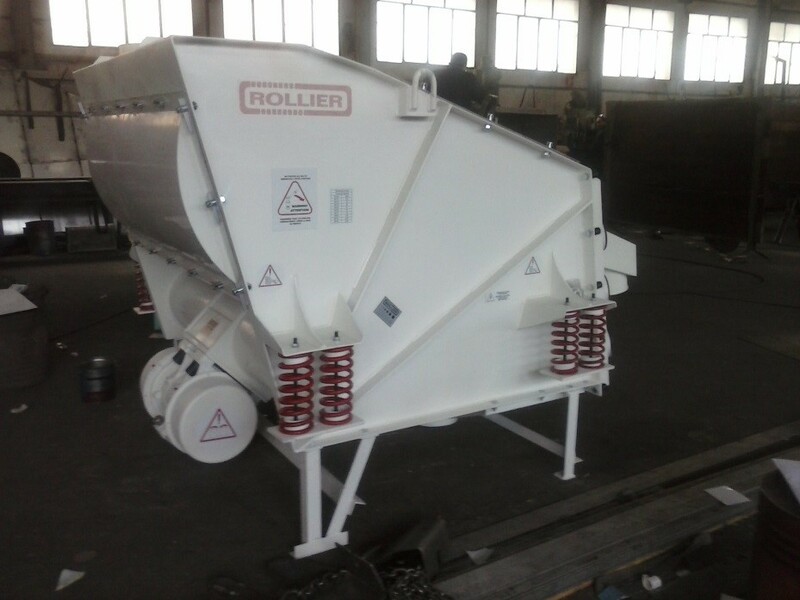 That is why it is essential to pay attention to the implementation and design of the ducts that pour the product on the screen and use auxiliary means as vibrating distributors if necessary. 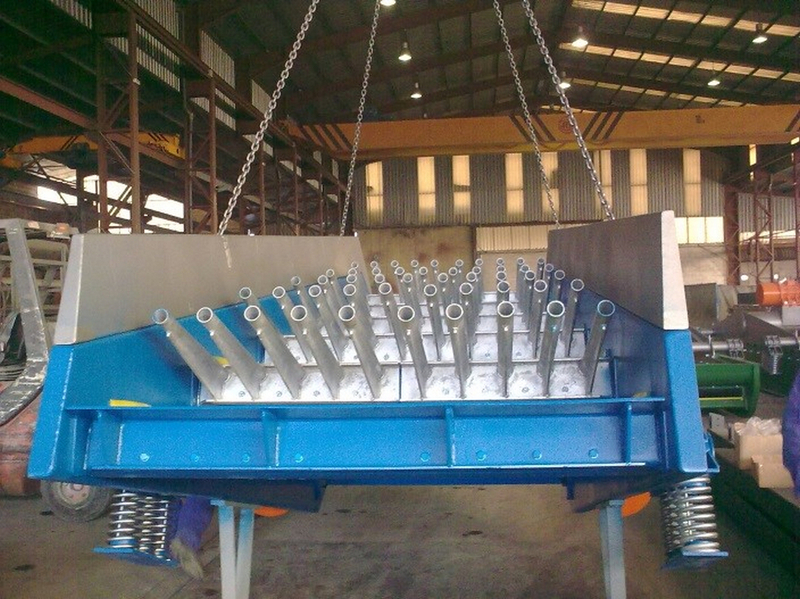 A good vibrating screen must be reliable, minimize wear and maintenance and have a strong vibration as any vibrating machine that boasts: the more it vibrates the better it goes, that is, it gives more production and efficiency. 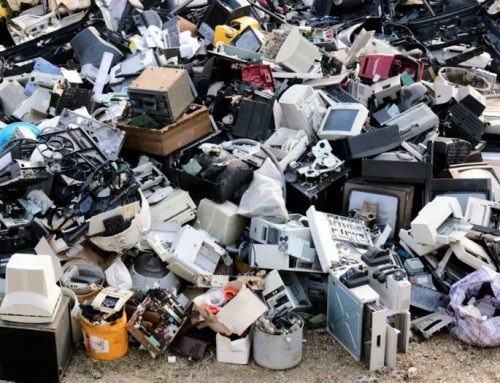 On the other hand, most of the “bad” screens are not really bad but inappropriate to use: If the product is wet and sticky, it will stick to a metal screening element rather than a polyurethane screening element. If it is dry and fine, the screen should be dust-tight. 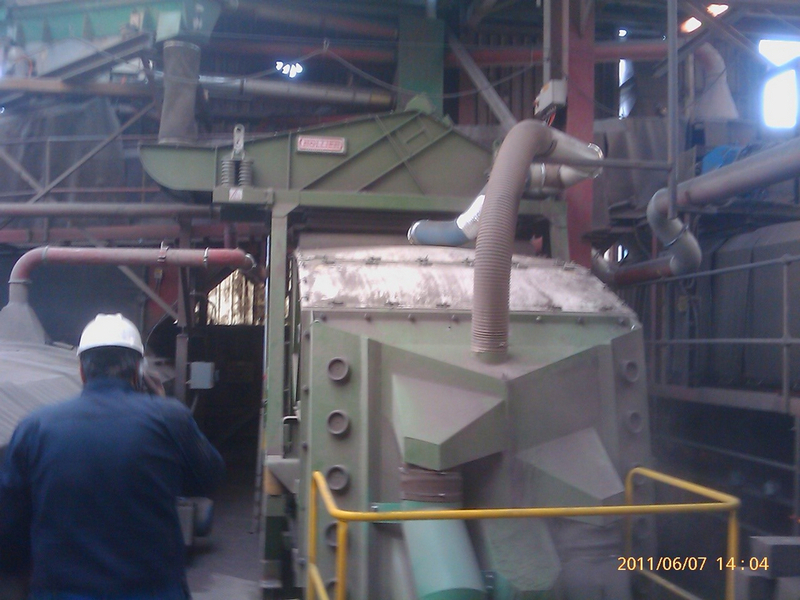 If it is a matter of screening large and heavy particles, the screen should be very robust. 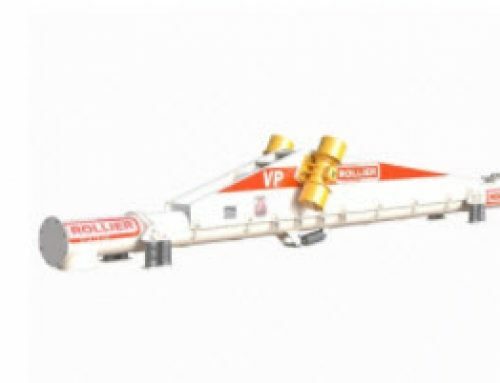 If it is very robust and used with fine products, it will consume more than necessary in electricity and maintenance costs (very robust screens use slower assembly and disassembly systems, larger bearings, etc.). 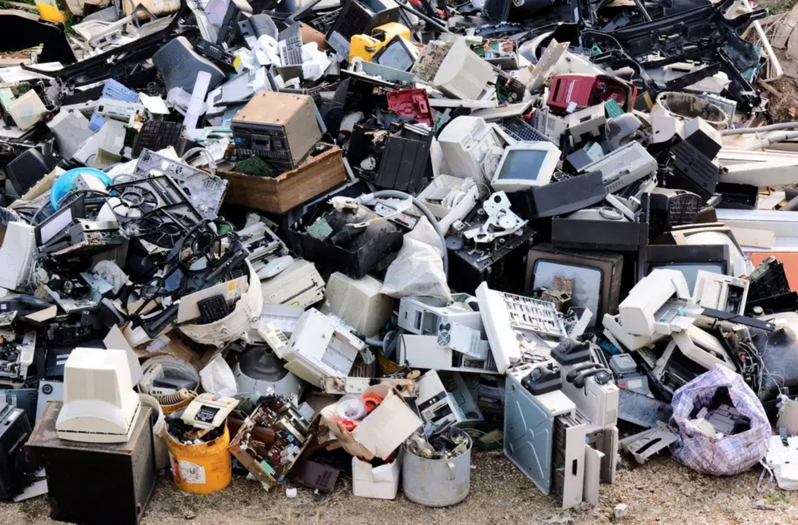 The combinations are endless, and a good selection, suitable for use at first, will make the user does not have to remember this machine again in life, or at least until he needs to install another screen.